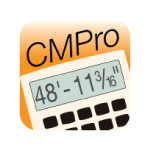 Take the functionality of the Construction Master Pro calculator with you on a smartphone or tablet. 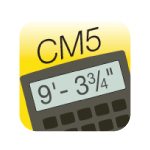 Get all of the functionality of the Construction Master 5 calculator on your smartphone or tablet. 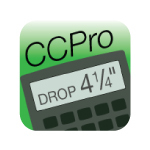 Enjoy all of the functionality of your ConcreteCalc Pro calculator on your smartphone or tablet. 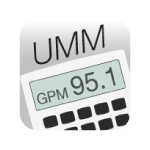 Get all of the functionality of your Ultra Measure Master calculator on your smartphone or tablet. Use your smartphone or tablet to estimate materials with the Material Estimator calculator app. 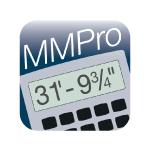 Enjoy the functionality of your Measure Master Pro calculator on a smartphone or tablet. Heavy construction solutions on a smartphone or tablet with the power of the HeavyCalc Pro calculator. Get an indispensable kitchen calculator on a smartphone or tablet with the KitchenCalc calculator app. Get a powerful residential real estate finance calculator app for your smartphone or tablet. Powerful Residential Real Estate Finance Calculator app. 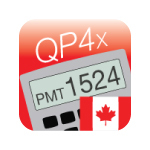 Toggles between U.S. and Canadian Interest. 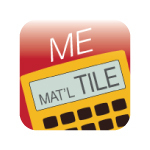 App is an easy-to-use tool for DIY projects, home decorating and hobbies. It figures materials and costs. This app quickly figures project material quantities and costs for paint, tile, carpet and wallpaper. Put a road and strip performance calculator on a smartphone or tablet. 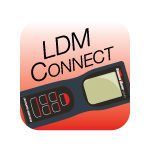 Calculate a car's performance. Convert trades math, applied math and Trig on a smartphone with functionality of the Tradesman Calc. 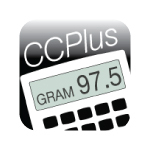 Calculator/converter app provides quick, accurate solutions for all your professional conversion needs. 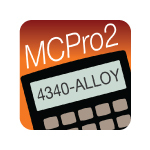 Get an advanced machining math and reference calculator for your smartphone or tablet. Machining Math and Reference Calculator app for smartphone/tablet includes material and tool setting. Solve tough electrical calculations on a smartphone or tablet with the ElectriCalc Pro calculator app. Advanced pipe trades math app for smartphone/tablet has functionality of a Pipe Trades Pro calculator.